NetPosse.com ALERT: We are offering FREE listings on our website for ANY livestock that are missing due to the wildfires/natural disasters in Colorado and Montana. This includes horses, ponies, donkeys, mules, dogs, llamas, etc. People are having to leave so fast due to the winds carrying embers and starting new fires that they cannot properly evacuate. If you lose your animals, you can list. If you FIND animals, we encourage you to search first, then list if the owner has not already done so. As always, we encourage owners to use permanent identification if at all possible. If not possible or time is critically short, use a permanent marker, livestock chalk, or take digital pictures. Take all documentation with you when you leave. Wildfires raging across the West have forced not only people, but horses from their homes. Thehorse.com reported on over 200 horses evacuated from near Manitou Springs, Colorado, a town threatened by the 29-square mile Waldo Canyon Fire which began on June 23. ChronofHorse.com reports that in the last month, 500 horses have been housed at The Ranch Larimer County Fairgrounds and Events Complex from wildfires near Fort Collins, Colorado. The Norris Penrose Event Center in Colorado Springs currently houses over 100 horses. Volunteers helped to haul away horses and cattle from the danger zones from the Waldo Canyon Fire near Colorado Springs. The Colorado State Fairgrounds have offered their fairgrounds to house evacuated house pets and livestock. Many organizations have stepped up to help care for displaced horses. Stolen Horse International (Netposse.com) offers free listings to any owners who are missing horses from the fires (as well as other major disasters). Horse Evacuations East (http://www.facebook.com/HorseEvacuationsEast connects people who need evacuation assistance and shelter for horses during a natural disaster to those who can provide it. The Billingsgazette announced that the MAERA, Montana Awareness Education and Equine Rehabilitation Association (http://www.montanaawareness.com/), can arrange for transportation in some instances. The offer is made for horses in immediate danger and those that have been displaced or lost in fires. Check the above pages for missing or found horses. Humane societies across the country are working with local law enforcement to rescue pets and livestock from the fires. Find local humane societies at their national page: http://www.humanesociety.org/. Consider donating your time, supplies, hay, or grain to to shelters in need, or consider donating money to some of the reduce organizations. As always, when donating to any cause, do your homework and make sure it is not a scam - the Good People come out in an emergency, and so too, unfortunately, do the Scammers. Tevis makes history again! We are pleased and proud to announce that the Western States Horse Expo, now in its 14th year, has chosen the Western States Trail Foundation as its honoree for this year's Hall of Fame Award! WSTF President, Kathie Perry, was present to accept the award at the Magnificent 7 stock horse event on Friday night, June 8th at Cal Expo in Sacramento. The Western States Horse Expo Hall of Fame is awarded in honor of those who have made a significant, meaningful difference in the world of horses. Federal Funding for Alternative Transportation May Be Cut! The House and Senate are currently in conference over the federal transportation bill. This is the funding authorization that supports key programs for advocates of trails, biking, and walking: Recreational Trails Program, Transportation Enhancements, and Safe Routes to School. The Conference Committee includes 34 Senators and Representatives who are attempting to reconcile differences between MAP-21, the Senate version of the transportation bill passed earlier this year, and H.R. 7, the House version of the bill that did not pass the House. Currently, the Senate and House conferees are going back and forth with counter proposals that could gravely affect the progress that has been made to include dedicated funding for the Recreational Trails Program, Transportation Enhancements, and Safe Routes to School in MAP-21, the Senate Bill! The Conference Committee has until the end of June to arrive at a compromise on Transportation funding, and it depends on you whether your Members of Congress will support trails and bike/ped facilities in this bill. It's especially important to contact your member of Congress if they are on the Conference Committee, but all members need to hear that you support funding for trails and bike/ped facilities now! PLEASE CALL or EMAIL your Senators and Representative and ask them to support trails and bike/ped facilities! Ask them to retain the compromises already reached on Recreational Trails, Transportation Enhancements, and Safe Routes to School in MAP-21, the Senate's version of the Transportation Bill. We must have dedicated funding for these programs! Ask them to stand firm in protecting these critical programs! Stay up to date, by visiting these pages on the American Trails website. Thank you once again for your efforts on behalf of trails! P.S. Things will be changing fast over the next few weeks, so to keep up to date on current actions/opportunities, please check the American Trails "Take Action" page often. On an unusually cool summer day, Timothy Olson, 28, rounded the Placer High School track Saturday night for the first sub-15-hour finish in the history of the Western States 100 Mile Endurance Run. After placing sixth in 2011, Olson came back from Ashland, Ore., with a vengeance this year to shatter Geoff Roes' 2010 course record by more than 20 minutes, finishing in 14 hours, 46 minutes and 44 seconds. Ellie Greenwood, 33, of Canada set the women's record in 16:47:19, besting the previous mark of 17:37:51 set by Ann Trason in 1994. An estimated 380 runners are competing in the race, which began at 5 a.m. Saturday in Squaw Valley. The course will remain open until the 30-hour cutoff at 11 a.m. today. As the leading organization saving trails for horse use, Back Country Horsemen of America continues to grow and expand. They have 27 member state organizations across the nation with a combined membership of 13,000, and those members have cumulatively provided $63,000,000 worth of trails work over the last 16 years. They have also preserved our right to ride horses on countless trails from coast to coast. But because there’s still so much work to do, BCHA has added an Executive Director to oversee and manage operations of this national volunteer 501(c)3 public benefit organization. They found the perfect candidate right within their own ranks. Rick McLean became a member of the Back Country Horsemen of North Carolina, Foothills Chapter, a number of years back. He currently lives and grew up in the Piedmont region of the state, where his family has resided for several generations. His father bred Shetland ponies and rode the trails, instilling in Rick a passion for both horses and the back country. As a youth and young adult, Rick dabbled in the rodeo, sat on a few saddle broncs, and showed locally, but riding a good trail horse in America’s wilderness remained his true love. After he married his wife, Judith, and children arrived, he decided he needed to get a “real job” to support his family. With a Master of Public Administration Degree from the University of North Carolina, Chapel Hill, North Carolina, and a Bachelor of Arts Degree from Pfeiffer University, Misenheimer, North Carolina, under his belt, Rick began a life of public service. He served as Chief of Police in Whiteville, NC, and Town Manager of both Carolina Beach, NC, and Mooresville, NC. 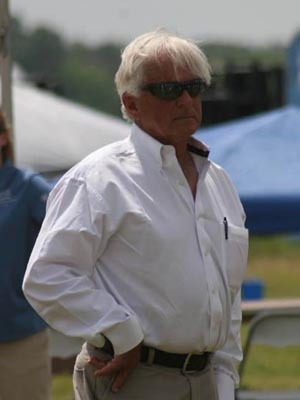 He now owns and operates Hidden Creek Stables in Mooresville, a small family farm where he and his wife purchase trail horse prospects, develop them into safe, dependable trail horses, and place them with folks who enjoy trail riding. After retiring from public service, Rick was free to pursue his passion once again. He and Judith have traveled all 48 states to see this beautiful country of ours from horseback. Although most of their trips last only a few days, they have taken a couple of six-week-long journeys in America’s Southwest and Northwest regions. They have plans to ride in Alaska in the future. In addition to being a BCHA member, Rick is also a member of the Blue Ridge Horsemen’s Association and a Life Member of the North Carolina Horse Council. Several years ago, he completed the classroom and field work in trail design, construction, and maintenance sponsored by the North Carolina Horse Council. Back Country Horsemen of America is pleased to welcome Rick McLean to the team. His education and experience will enable him to guide BCHA forward to new accomplishments and the realization of current goals. His love of riding and the back country will fuel his enthusiasm to preserve our right to ride horses on public lands. At CEI Fort Howes in Fort Howes, MT, which was held June 8-10, Jessica Manness and Greater Glide were pulled in at vet gate one in the FEI 75 mile event. Diane Trundle on Nikki and Angie LaVallee on Okay Spotless wne the Gold medal in the 35 mile event. In the 50 mile race on Sunday, Diane Trundle, Jessica Mannes and Angie LaVallee won the Silver medal. Diane Trundle finished in third and Angie LaVallee was fifth overall. The Canadian Team rode on Sunday in the CEI 3*160. The team, named the Rabid Grasshoppers, won the gold medal in the Team Event. Kathy Irvine (Savahnna), Colleen DeVry (Indigo), Jaylene Janzen (Sakic) and Christy Janzen (Regal Morning Mist) were the members on the team. Soundness and Fitness Trials are underway around the country for the USA WEC Team hopefuls. The first trial took place in Prescott, Arizona on June 2; following will be Wharton State Park, New Jersey on June 16, Fort Ord, California on June 22, and Brushy Creek State Rec Area, Iowa, on June 29. Attending each trial will be US Chef d'Equipe Emmett Ross, two Vet Panel veterinarians, and at least one selector. Horses will go through a pre-trial inspection, ride a total of 60 kilometers at assigned speeds (40 km followed by a 30 minute hold, a final loop of 20 km and a final vet check), then a post-trial inspection. "This is not a race or competition amongst us," said Ross, "[but] how the horses' current condition appears to be." The goal is to have the horses built up to be peaked just before the team boards the plane for England on August 12/13. "Holding a real peak is difficult to do any longer than about 2 weeks - there is a very fine line," he said. The speed of the trials are not designed to place the horses under a lot of stress, but rather to provide a physical effort upon which to base a final evaluation. After the trials are complete, Ross will announce the final selection process and announcement dates for the 12 nominated horse/rider pairs and the 6 on the traveling squad. Madison, NJ (June 1, 2012) – Pfizer Animal Health and American Horse Publications (AHP) are proud to announce that the Equine Land Conservation Resource (ELCR) has been named the recipient of the eleventh annual Equine Industry Vision Award. A truly unique honor, the Equine Industry Vision Award is the first of its kind to showcase innovation across the entire equine market, as well as recognize ingenuity and service. This award was presented to the Immediate Past President Larry Byers and founder Georgiana Hubbard McCabe, representing ELCR’s four original founders, during a ceremony held on Friday, June 1 at the AHP Ride into History Seminar in Colonial Williamsburg, VA. The ELCR was selected to receive this honor because of the organizations dedication to help preserve land for the future of equestrian sports, recreation and industry. The ELCR is an organization that works to educate horse owners regarding key issues related to land conservation as well as establish partnerships with individuals and organizations that can help represent the conservation community. The ELCR is the only national organization addressing these issues for the equestrian community. Founded in 1997, the ELCR was initiated by a group of concerned horse people who recognized that the loss of open land is the greatest threat to the future of all equestrian sports, recreation and industry1. What began as a program within the Conservation Fund, a highly respected conservation organization, became what today the industry recognizes as the national organization to preserve land and promote access for all types of equestrian use. Across the U.S., the country is losing 6,000 acres of agriculture, forest and other lands each day1. Conservatively, the U.S. needs 36,000,000 acres to feed the estimated 9 million horses in the country1. Over time, the ELCR has learned that all land is saved locally. ELCR’s vision is to provide horsemen with the tools, resources and networks needed to ensure a viable future for horse-related activity in their own home towns2. ELCR has enlisted 122 equine organizations and corporation as Conservation Partners and their involvement is critical to the success of the mission2. The Conservation partners represent 1.2 million members. According to the U.S. Census Bureau, the US population is projected to increase to 392 million by 2050 from 308 million in 20102. That represents more than a 50-percent increase from the 1990 population size2. That population growth will be located primarily around urban and suburban centers. A critical issue facing the equestrian community is maintaining the boarding stables, youth riding academies, competition and training spaces, trails and hay suppliers in proximity of the population centers. This accessibility to horse and equine activities within 30 miles of population centers is essential to the future of the equine industry. These urban and suburban participants are the next Olympic champions, race horse trainers and breeders, regional competitors and recreational riders. They’ll also be customers of the suppliers to the equine industry – the veterinarians, clothing and footwear manufacturers, saddle and harness makers, feed and supplement companies. “Receiving the Equine Industry Vision Award is an honor and a privilege,” said Georgiana Hubbard McCabe, ELCR past president and one of ELCR’s four founders. “To be recognized by our peers for our mission and for the dedication of our friends, partners and supporters to conserve and protect horse lands and the equestrian lifestyle, means the world to us.” The other finalists for this year’s Equine Industry Vision Award included Michael Blowen, president and founder of Old Friends, retirement farm for pensioned Thoroughbred race horses, Denny Emerson, USEA Hall of Fame member and past president of the USET, and the American Paint Horse Association, which celebrates its 50th anniversary in 2012. American Horse Publications is a non-profit professional association dedicated to promoting excellence in equine media and better understanding and communication within the equine publishing industry. For more information on the association or to request a nomination ballot for the 2013 Equine Industry Vision Award, please contact: Chris Brune, American Horse Publications at ahorsepubs@aol.com or 386-760-7743 or visit the AHP Web site at www.americanhorsepubs.org. Pfizer Animal Health, a business unit of Pfizer Inc., is a world leader in the discovery, development and manufacture of innovative animal health vaccines, medicines, and diagnostic products. Pfizer Animal Health invests more in research and development than any other animal health company. We work to assure a safe, sustainable global food supply from healthy beef and dairy cattle, swine, poultry and fish while helping dogs, cats and horses live healthier longer lives. We strive to be the animal health company that provides full healthcare solutions to veterinarians, livestock producers, and pet owners. To learn more, visit www.us.animalhealth.pfizer.com.